After my very slow December and January I was a giving starting to give up a bit in February. Honestly I was expecting maybe another win or two but I was more than happy with the six I got. It might not seem like much but I do think that for me it is a pretty good amount. So here are my wins. 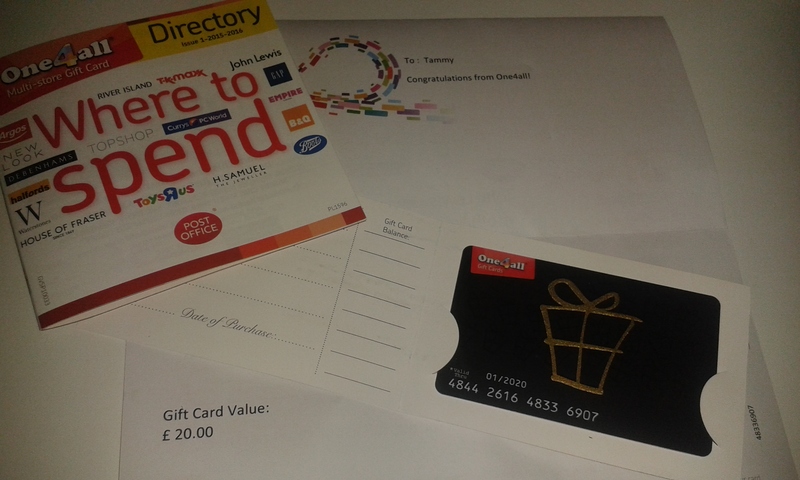 My first win was a £20 One 4 All gift card. I was delighted with this win as I have been entering their weekly competitions for months on both Facebook and Twitter! I was a little shocked when their picture popped up in my messenger. It couldn't have come in a better week either. At the start of February we had some very bad family news and this did cheer me up a bit. 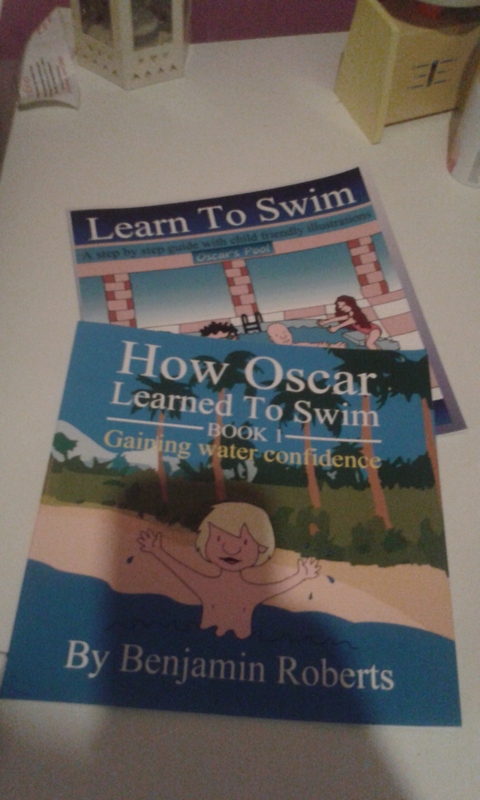 I then won 2 books from Primary Times. I had a lovely email from the author and I must say these are fantastic books. There is so much information contained inside along with a story for D to read while we learn how to swim through the first stage. I can see myself buying this whole range of books and these will become invaluable to us over the coming years. They are fantastic! My third win of the month was certainly unexpected as I had won all 3 of these prizes in a week! This one had been another competition I had been entering weekly on Facebook for quite a while and it was with BundleBean. If you have never heard of this company then you need to. I had been reading a lot of reviews on other blogs of their products and I knew this was something that would be handy for when we have baby number 2 at some point. 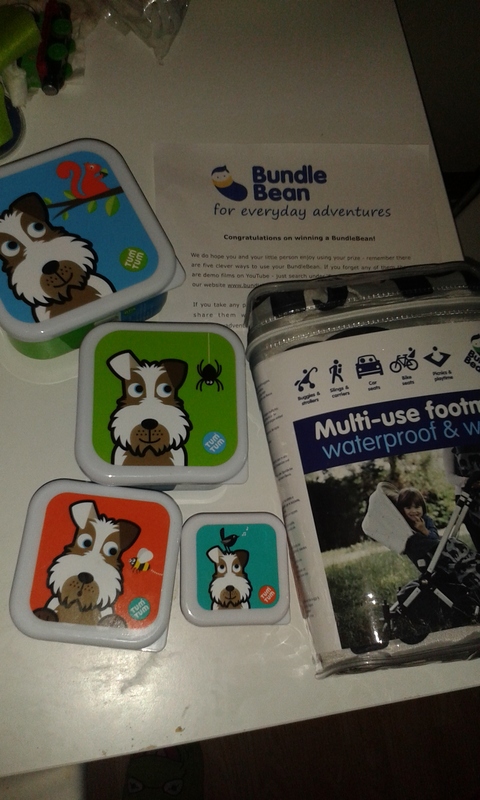 I also won a set of tum tum pots which we now take everywhere with us containing healthy snacks for on the go. My fourth win of the month was quite far apart from the first three and was around the middle of the month and I won it over on twitter from Pavilion Children's books. I knew D would love this as he likes to know everything about plant's and flowers. He would love to grow some himself but every time we try I forget to water them and they die so we have given up this year but after getting this book I do think we may try again sometime this year or next. D is a bit to young for this book at the minute so I have put it away for future use. So on to the last two! I think I was a in a bit of shock when I came to home to a message from my friend Rebecca asking me to go on twitter. 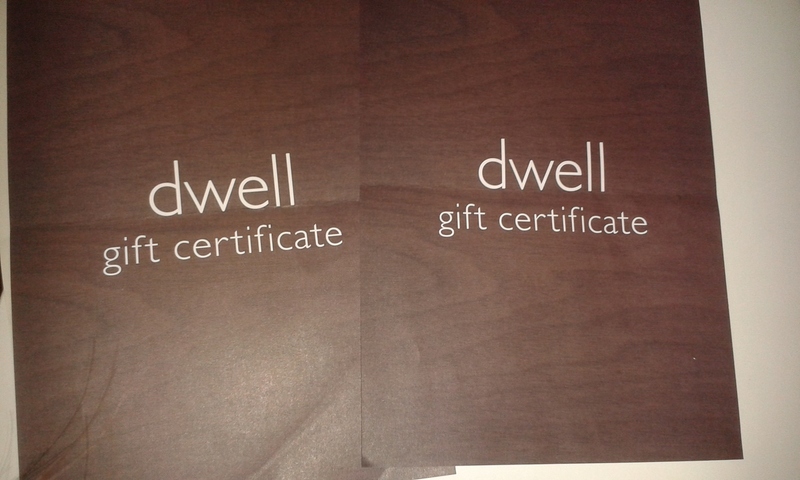 Boy was I not prepared to find out I had won a £100 voucher for Dwell! I won this from dfs on twitter. They had run the competition for #RandomActsOfKindnessDay. I have spent the voucher and the items are currently still in their delivery box in my mum's house. They will be sent to me over the next few weeks. I had to arrange delivery to my mum as Dwell do not deliver to Northern Ireland. I'm just glad my mum is able to have things delivered to her in England! I didn't know about Dwell's no delivery until after I had won and I had seen so many bits online that I loved. My final win of February was again won on twitter. Twitter has become quite an obsession recently. I got some tips on how to use it for competitions and I have been hooked ever since! 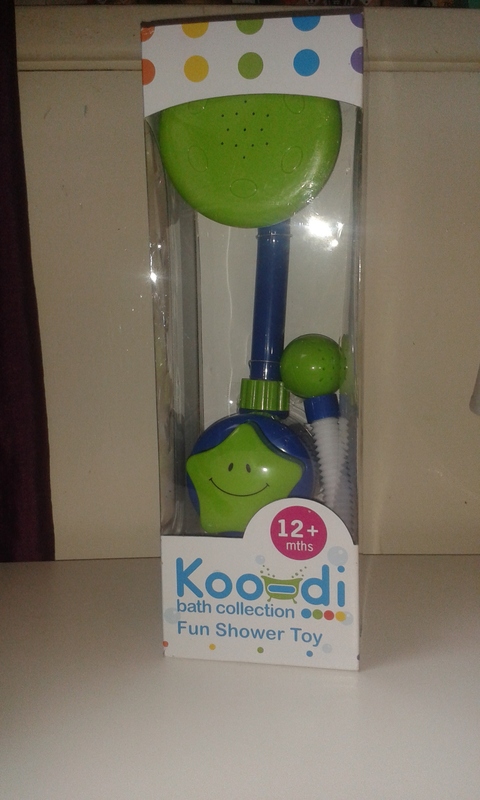 I won this lovely shower bath toy from Hello Baby on twitter. D loves it! He was very impatient in waiting for bath time the day it arrived! He even got ready to get a bath early knowing afterwards he would have to go to bed early too. He refused to get out the bath he loved it so much. It has now become a regular bath time routine for D to use it. There you have it! I may not have won many prizes but I did do as many as I could and I got some pretty great wins. Many of this months wins where perfect for us. Do you enter any competitions? What have you won? I would love to know!